An inspiring memoir on how to survive in the technological climate of the 21st Century. After achieving much positive attention and fame from the release of his first self-help memoir, Reasons to Stay Alive, Matt Haig released a follow-up called Notes on a Nervous Planet in 2018 which has since been highly-rated by many. Although he was previously well-known for his fiction books ranging from topics such as vampires (The Radleys) and time-travel (How to Stop Time), it is safe to say that Notes on a Nervous Planet was a ground-breaking book for Haig, as it quickly became widely shared across the internet. Featuring 18 short chapters discussing a number of topics, in Notes on a Nervous Planet Haig strongly centres his main attention to how the constant technological and societal development within the world surrounding us can directly affect our mental health. The main mental health focus of Notes on a Nervous Planet is anxiety, and the ways in which anxiety can be heightened as a result of the modern world. This differs slightly from his first memoir, Reasons to Stay Alive, which mostly delves into the subject of major depressive disorder. Notes on a Nervous Planet is not only inspiring, but also incredibly accessible to read; with its short chapters, regular lists and captivatingly relatable subject matter, it is most certainly a book for everyone. Whether or not you feel the subjects are entirely relatable, we are all human and Haig provides some eye-opening comments on how to stay sane in a world which wishes for us to question and doubt ourselves. A particularly poignant section is chapter 6, ‘Internet Anxieties’, where Haig lists ‘things I love about the internet’ and ‘things I should do less of on the internet’, highlighting the ambiguous effects which the internet and social media have on us. Haig’s role in highlighting the damaging effects of social media is extremely important in the current climate of today, where people feel especially pressured to maintain a certain image of themselves online. Notes on a Nervous Planet can assist those who are influenced by the inescapable forces of the internet to take a step back and put everything into perspective. The concluding chapter, ‘Everything You Are is Enough’, acts as a reassurance to readers and to Haig himself about our existence in the modern world. Haig’s reminder that ‘everything special about humans – our capacity for love and art and friendship and stories and all the rest – is not a product of modern life, it is a product of being a human’ creates a sense of unity amongst readers and is something which everyone can relate to. This book is a definite must-read if you ever feel alone in a world which is constantly changing. Haig discusses the tiresome and damaging pressures that 21st Century society can hold over many individuals, including himself, and delves into some personal memories which act as comfort for readers to know they are not alone. 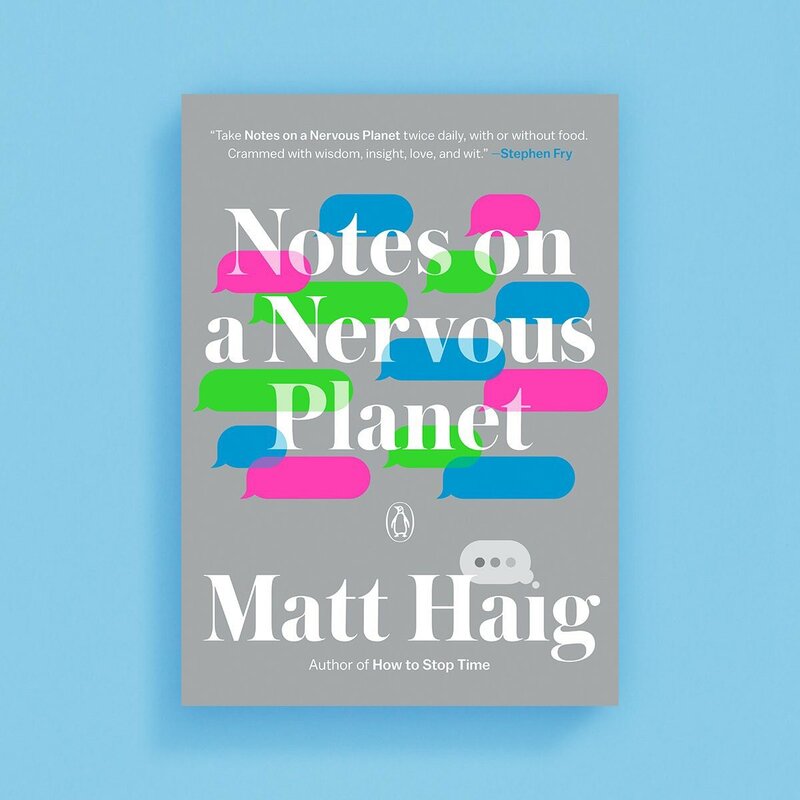 Notes on a Nervous Planet is available to read now, and Matt Haig is touring across the UK throughout March and April 2019.